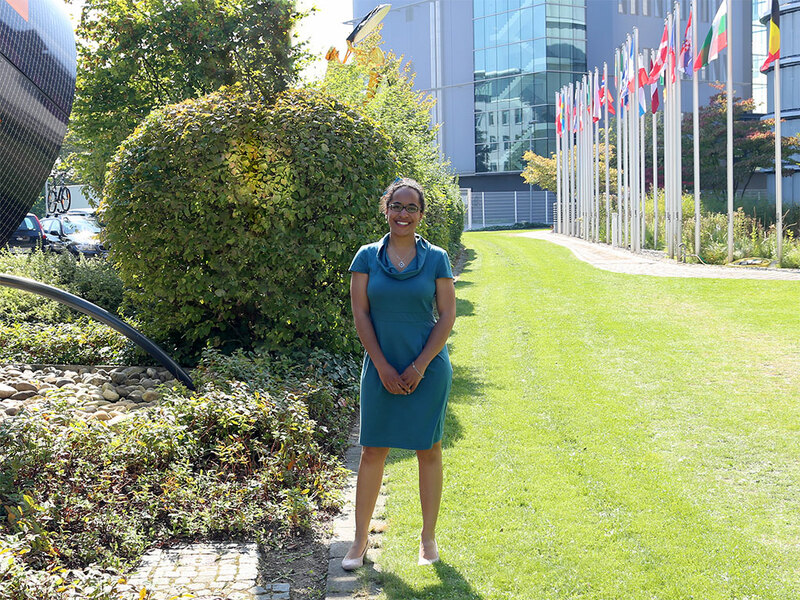 Eleven years after her first visit to EUMETSAT as a student, Anna-Meagan Fairley, a young researcher with a big aim – to help prevent the spread of infectious diseases – made a trip back to the future. 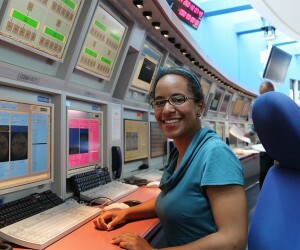 In July 2003, Anna was a 16-year-old student at Bertolt-Brecht-Schule in Darmstadt, Germany, whose interest in astronomy led to her becoming the first participant in EUMETSAT’s then-new Praktikum (work experience for students) Programme. 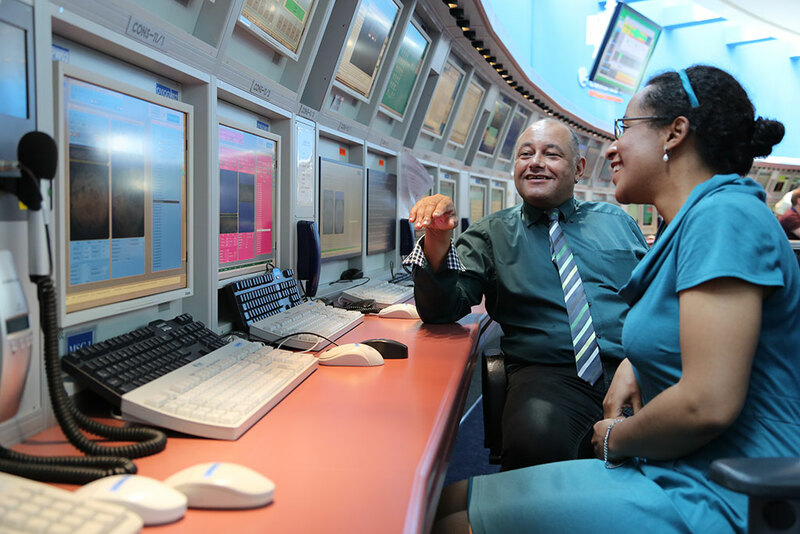 At the same time, EUMETSAT was preparing a programme for young people, to give them experience of working life in a satellite control room. Anna became the first official participant in that programme. 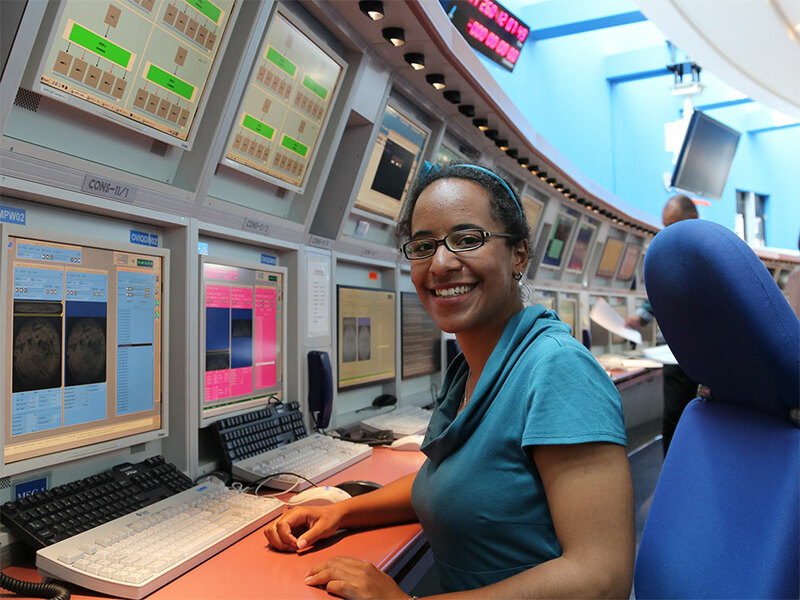 The work experience programme started in 2003 as an initiative of the Head of the Flight Operations Division, Mike Williams, supported by the Meteosat Controller team, Programme Coordinator Phil Harvey said. “Sometimes, the participants will come back with their teacher and classmates to give customised presentations. Later, they invariably continue to go on to university to study science – even meteorology.” Phil said that, as part of the programme, he would follow up the students’ progress a few years after they had undertaken the work experience. So how did doing work experience in a satellite control room lead to a scientific career in epidemiology? “I helped in the routine operations (under 100 per cent supervision). I was really nervous but it was really exciting,” she said. “It was my first real experience of being in a workplace – that was new for me. It reinforced for me that I wanted to do something with an international orientation. 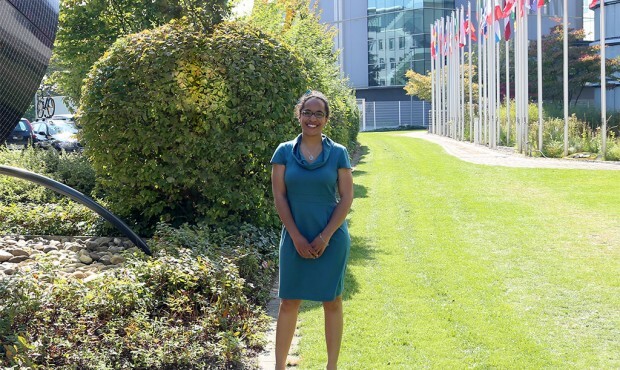 It made me realise that I liked working with people from different backgrounds and in the sciences.” Which is how Anna began her path towards her current role in European public health. She maintained her interest in science but that interest began to veer more towards biology. Anna studied for a Bachelor of Public Health at Maastricht, in The Netherlands, where she also did her research Masters in epidemiology and worked for two years in a hospital. “That experience gave me both the health and the international/European orientation,” she said. Now, she’s undertaking a PhD in Epidemiology at Nottingham University, in England. “I’m really, really fascinated by infectious diseases. I know how that sounds but I get excited about infectious diseases,” she said. Anna’s PhD is looking at the spread of infectious diseases after natural disasters – going back over a time-span of 100 years – to determine what conditions lead to an outbreak occurring after some disasters but not others. “It doesn’t happen after all disasters,” she said. “I want to find out what these conditions are and work to prevent those conditions.” Which is where EUMETSAT’s satellite data might just play a role.